Do you remember your first tree climbing experience? 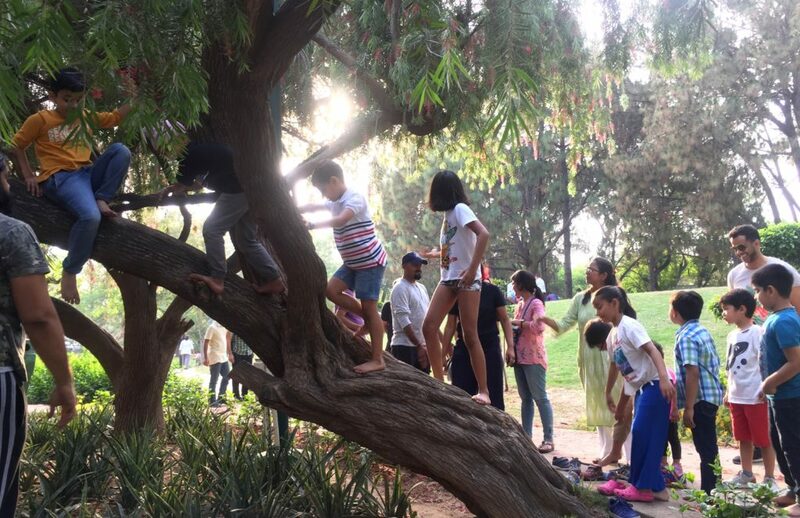 Children living in big cities can not climb trees for a few reasons. One of the most important reason is that, most of the lower branches of trees in cities have been chopped away for various adult reasons. Another important factor is that, sometimes children are discouraged from climbing a tree due to fear of injuries. 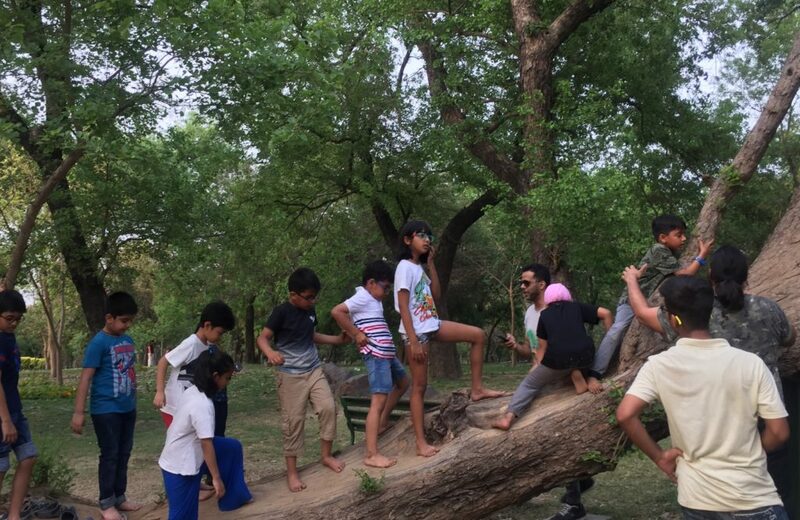 New Delhi Nature Society facilitates a great experience which has been enjoyed by thousands of children of all ages. The trees have been pre-selected and a safety pad is always used along with safety instructions before children start climbing the trees. Children love this experience so much that they refuse to come down at times. They find their favourite trees and remember those trees even years after one session. There are several trees to climb in this activity, and in the process the children also learn the names of those trees. They also learn about the creatures which live on trees through this practical first hand experience. 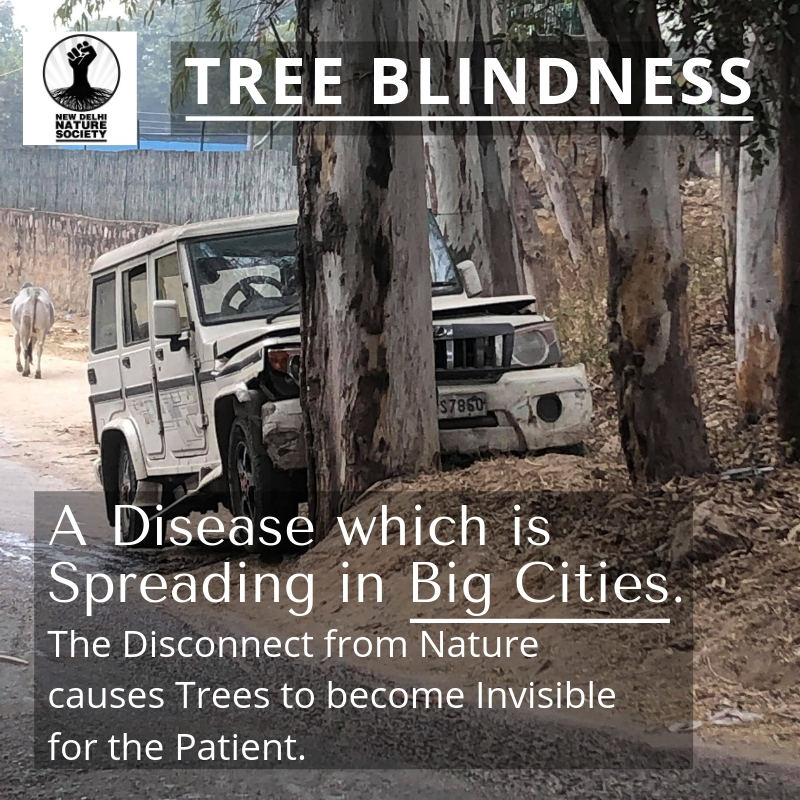 People in big cities are suffering from a disease called tree blindness. They can see cars, clothes and buildings but they just do not see any trees in their environment. This is dangerous because they sometimes walk and drive into trees since trees are absolutely invisible to them.Scientists have actually studied and documented their research on tree blindness for many years. The primary cause of this disease is the extreme disconnect from nature. Some people have not spent anytime in nature for many years. This also impacts their physical and mental health in the long run. Spending time in nature is known to improve your health, immunity and reduce stress levels. The tree climbing activity lasts about 2 hours. 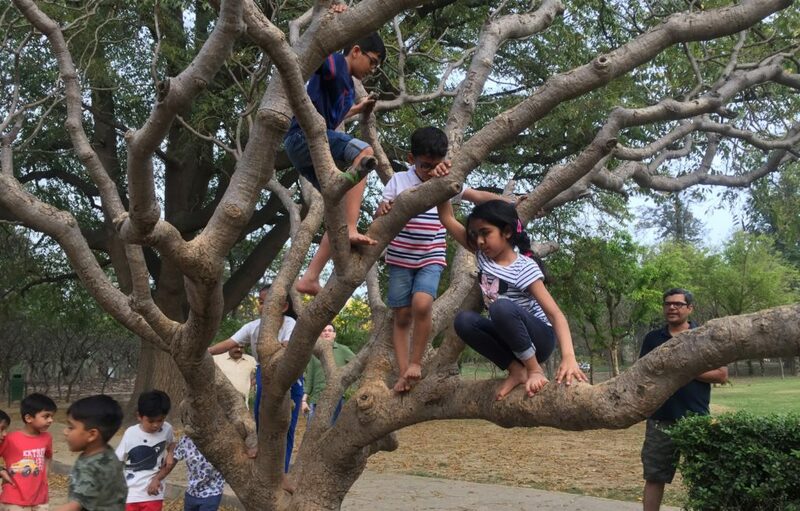 By the end of the program all the children become confident about climbing trees and get over their initial fears. The children really enjoy the birthday cake and refreshments after the tree climbing session. They love this experience so much that they opt for the same experience in the following years birthday parties as well. While the children enjoy the trees to their hearts content, even parents get in on the fun. 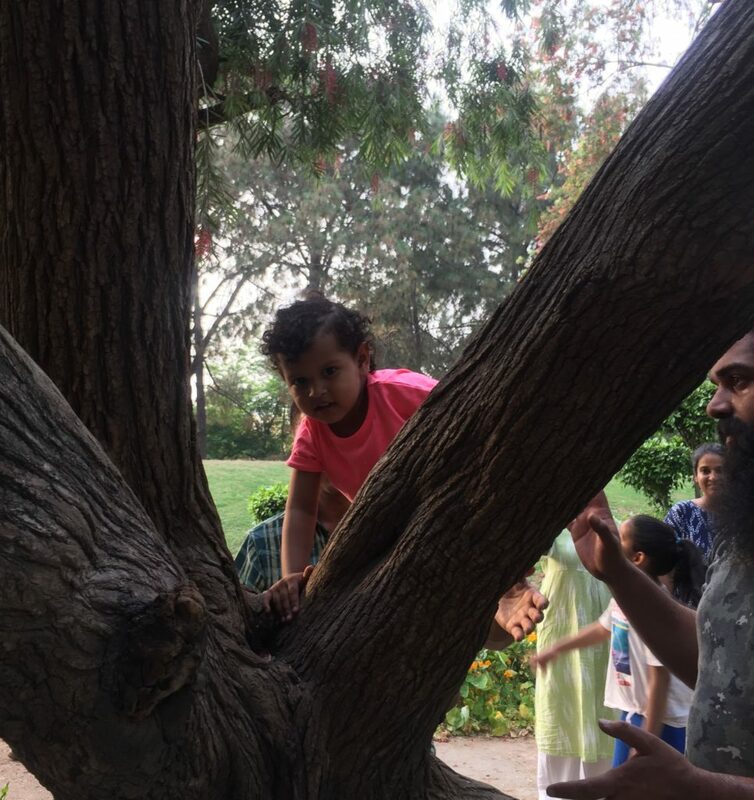 Parents also love climbing the trees since these trees are so inviting. Many begin to remember their childhood days of climbing trees and picking fresh fruit or just relaxing and spending time on the trees. 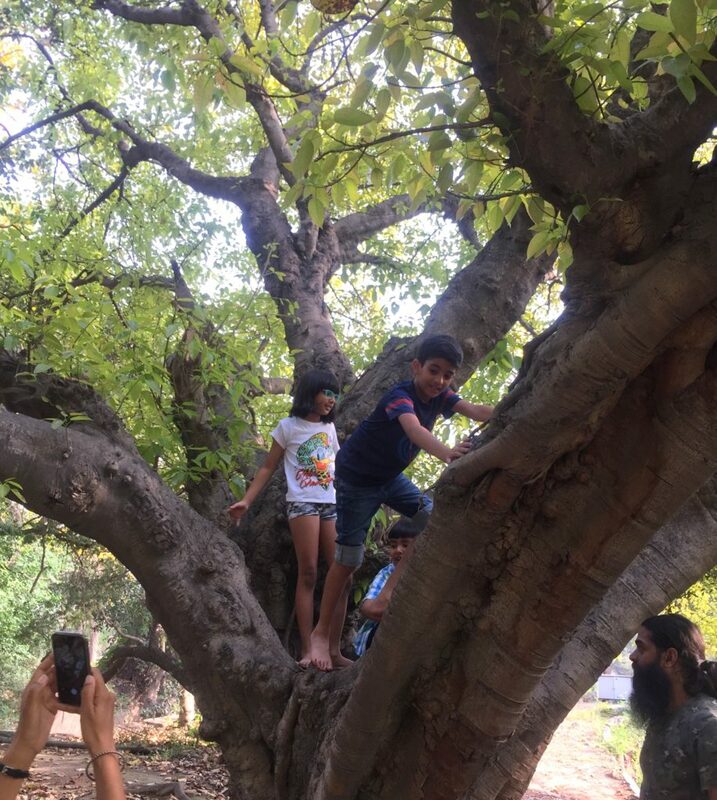 Tree climbing is for children of “all ages”, even grandparents attending the Childs birthday, find a comfortable space on the lower branches of trees. 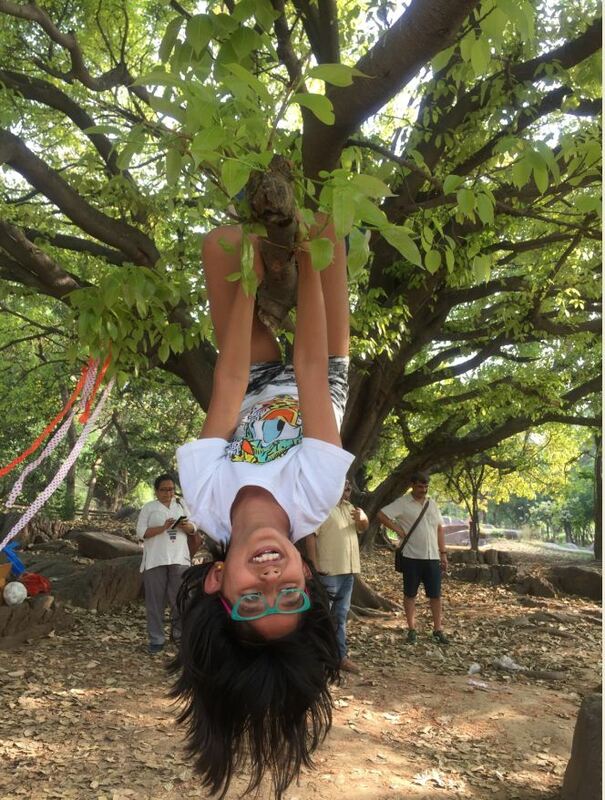 So, contact New Delhi Nature Society and book a Tree Climbing Birthday Party for your children. Give them a birthday party which they and their friends will love. Children who are not connected with nature will not fight to save it. This world needs more children to be in love with nature. As a kid from a small town who used to climb trees of all sorts and continued doing that into adulthood, this seemed like a gimmick at the first glance. But what you are promoting is the probably the best mix between mental healing and physical activity. City kids need this the most. Thanks for your efforts!